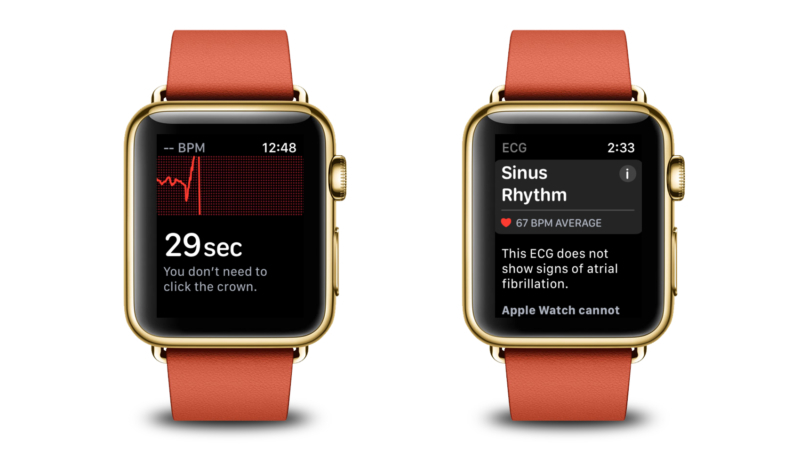 Apple on Wednesday released watchOS 5.2, which brings ECG functionality to Apple Watch Series 4 devices in Europe and Hong Kong. The update also brings support for second-generation AirPods and support for real-time text (RTT) for phone calls. WatchOS 5.2 can be installed via the Apple Watch app on the device’s attached iPhone. Go to “General” -> “Software Update” to install the new software. The Apple Watch should have at least 50% battery life, be connected to a charger, and be in range of the iPhone. The update expands the availability of the ECG app to Hong Kong, Austria, Belgium, Denmark, Finland, France, Germany, Greece, Hungary, Ireland, Italy, Luxembourg, Netherlands, Norway, Portugal, Romania, Spain, Sweden, Switzerland, and the UK. Those countries will also gain access to irregular heart rhythm notifications, which allows the Apple Watch to notify you if an irregular rhythm is detected.